What does the continued persecution of Ahmadi Muslims in Pakistan say about politics and religion in the country? Pakistan’s 1973 constitution declares Ahmadis to be non-Muslims and any act that promotes their faith is considered blasphemous and punishable by death. Yet it’s tragic that no one in Pakistan is ready to discuss that why Jinnah, the country’s founder, appointed an Ahmadi Muslim as his foreign minister and a Hindu as his law minister if he wanted to create a state that would accept an Islamic faith preached by the majority of the population while rejecting the ones preached and practiced by other minority Islamic groups. The persecution of religious minorities in Pakistan, including minority Muslims, traces back to how the agenda of Pakistan’s movement was formulated and how Pakistan as a country grew after it became an independent state. 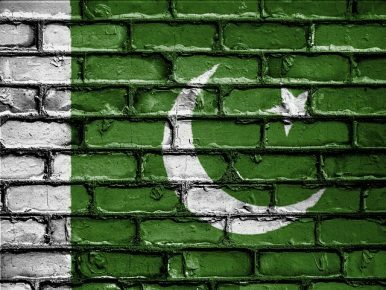 The question of why Pakistan’s founding fathers needed Islam to build an agenda for an independent state is still hotly debated both inside and outside the country. However, in Pakistan’s mainstream narrative, the partition of British India is remembered as an ideological issue rather than a political or constitutional one. Muhammad Ali Jinnah, the main force behind Pakistan’s independence struggle, in the country’s national narrative, is regarded as the leader who wanted to create an Islamic state rather than a liberal and secular state. For 70 years, the ruling political elite of Pakistan, which mainly comprises Sunni Muslims, has persistently used Islam for political interests and has brought Islamists to the center of Pakistan’s imagination as a state. Arguably, the first major victim of the majority Sunni ruling elite’s Islamic vision was Jinnah himself: as a Shia Muslim by Islamic faith, Jinnah was given two separate funerals. One of these funerals was held privately and followed Shia rituals and the other, which was held publicly and was attended by thousands of Pakistanis, was according to the Sunni rituals of Islam. “The two funerals symbolized not an expression of religious tolerance, but a political choice to appropriate Jinnah to the dominant Sunni strain of Islam,” argues Ravi Kalia in his book Pakistan: from the Rhetoric of Democracy to the Rise of Militancy. Traditionally, the country’s political elites have always accommodated fundamentalist clergy’s demands either to safeguard their own regimes or to undermine the efforts of their political rivals. Right after the partition, Sunni Islamists started demanding that since the country was founded on the basis of Islam therefore it should become an Islamic state. In 1953, in a major attack on Ahmadi community, Sunni clerks destroyed their places of worship and demanded from the state that Ahmadi Muslims be declared non-Muslims. Pakistan has barred non-Muslims from becoming president since 1956 and prime minister since 1973. In 1974, the state declared Ahmadi Muslims as non-Muslims. During the late 1980s and early 1990s, political parties in Pakistan patronized Islamists for political gains. Particularly during the last three decades, Pakistan’s ruling elite has openly offered orthodox Sunnis more legitimate claims to the instruments of the state then other Islamic or non-Islamic sects. Sunni Islamists for their part have used their extended influence and the close connection between Islam and Pakistani citizenship as a source of ideological legitimacy to lobby for laws and constitutional amendments that have gradually marginalized minority Muslim and non-Muslim communities. Throughout the country’s history, the question of who is an “acceptable and unacceptable” Muslim has remained a central part of Pakistan’s constitutional and political debate. The country’s Ahmadi community has been one of the direct victims of this debate. Now, once again, political parties in Pakistan are trying to use this issue to further their political interests. Imran Khan’s political party, the Pakistan Tehreek-e-Insaf, last week claimed that the ruling party is trying to remove the constitutional clause that declares Ahmadis as non-Muslims. To counter the opposition’s pressure, the ruling party said that “Ahmadis can only be equal citizens of Pakistan if they admit they are non-Muslim.” In response, Khan’s party termed the government’s response as “pro-Ahmadi” and said that even calling Ahmadis as brothers amounts to hurting the feeling of majority Muslim population in the country. Political parties in Pakistan have historically pandered to Islamist forces in the country to build legitimacy for their political campaigns. The country’s blasphemy law is just one way that Islamists terrorize the state and minority religious communities. Arguably, even the credibility and legitimacy of politicians and persons in decision-making positions is now measured on the basis of the brand of Islam they practice or represent rather than the kinds of policies they hope to implement. Unfortunately, the politics of religious exclusion and the state’s persistent drive to define the acceptable bounds of Islam has deeply — and perhaps irreversibly — divided the country and religious minorities continue to suffer. The acquittal frees Aasia Bibi to leave Pakistan, where she has come under threats from extremists.